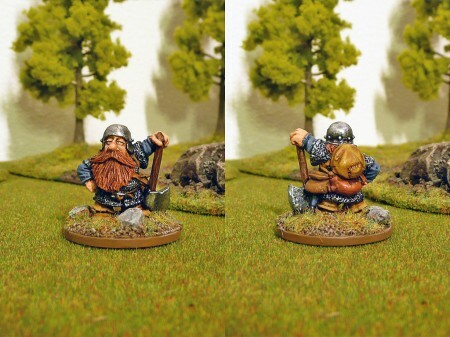 Got this dwarf from a friend, to paint as payment for a few miniatures. I normally don’t do comissions as I have a hard time keeping up with my own lead but figured every once in a while a single miniature won’t hurt too much. I'm a little teapot short and stout... if you tip me over, you'll get the axe! Hopefully he’ll be happy with it! I think it turned out quite allright, but as usual I hate my most recent paintjob. Need to get some distance to it, I suppose. 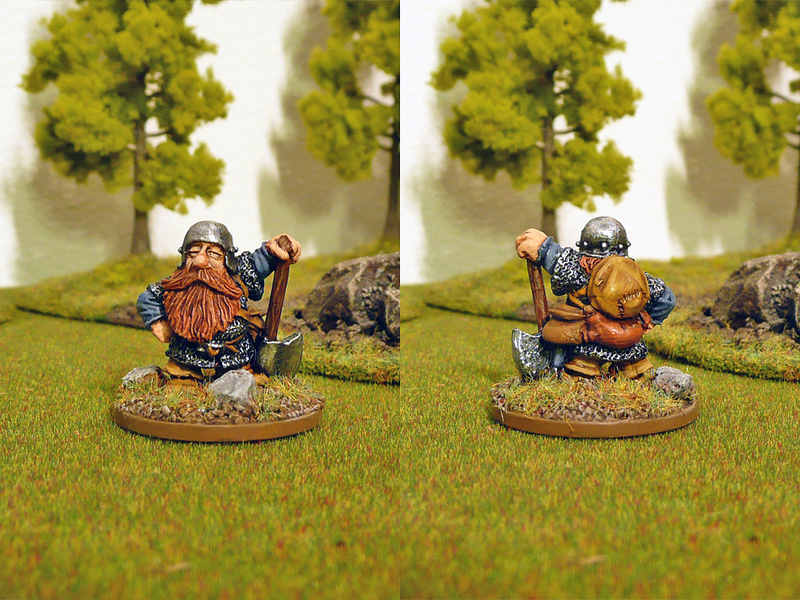 The dwarf was a bit tough to paint, as it was rough in places with poorly cast fingers etc. For the leadheads it’s not too hard to recognize him. Classic mid- to late 80’s Perry twins dwarf adventurer, from Citadel as always. Nicely done and I like his squinty look. Cheers Spooky. 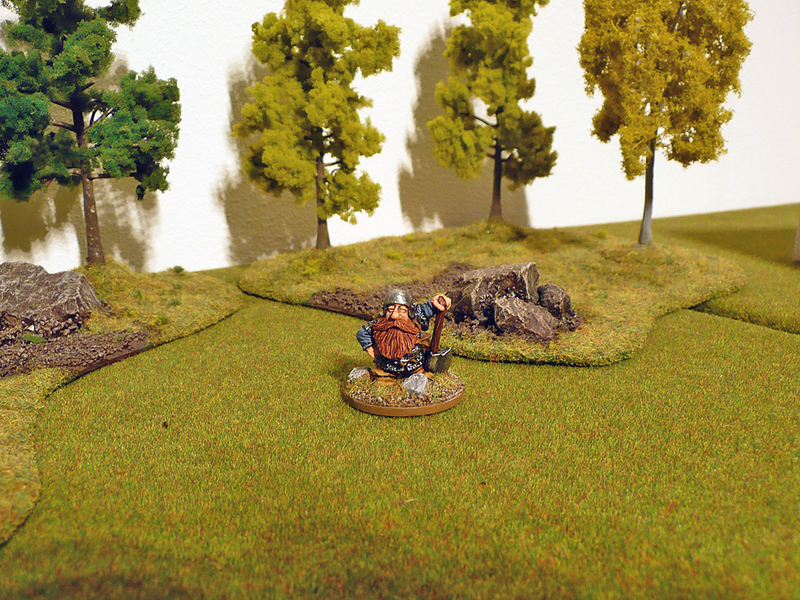 I took quite a liking to the mini and want to paint up more dwarfs next. Good thing I have ten more of the identiclones good to go! Great work – not a bad way of procuring a few extra minis. Well done for your perseverance with the clones! Thanks Steve, it wasn’t too bad but I won’t make a habit out of painting commissions! Too much like work, even if it’s fun work. =) I might paint some more for Adam (if he wants me to) but no armies. That’d be something. I have never even painted a full unit for myself (or a full Blood Bowl team) – it would be hilarious if I painted someone else’s army in exchange for more lead to not paint myself. Ha!